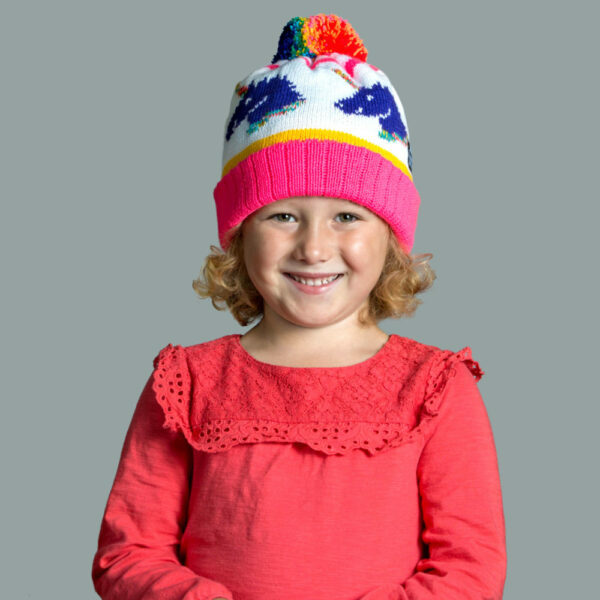 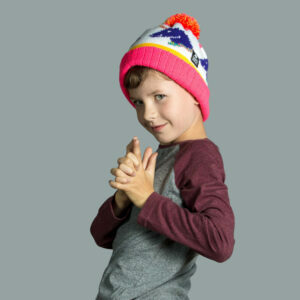 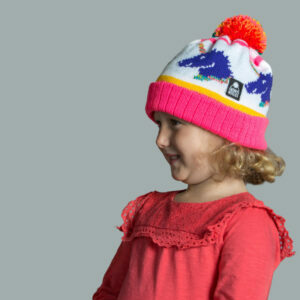 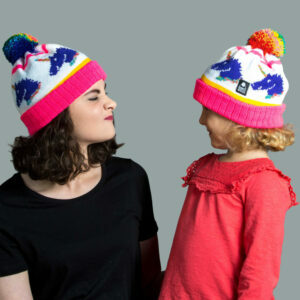 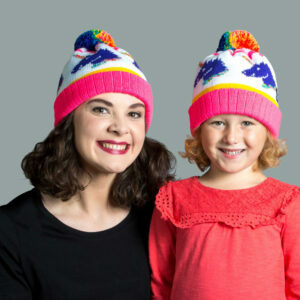 A burst of magical colour is combined to create this super cute, vibrant unicorn bobble hat. 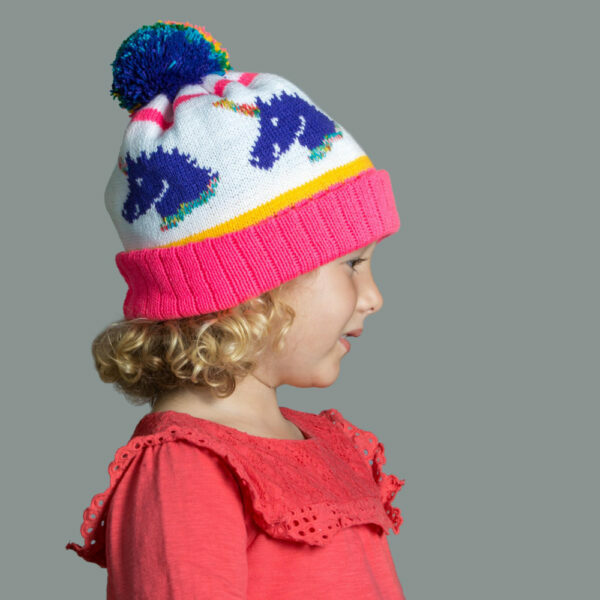 We’ve got a row of these beautiful majestic animals displayed around the crown of the head with its multi coloured horn highlighted. 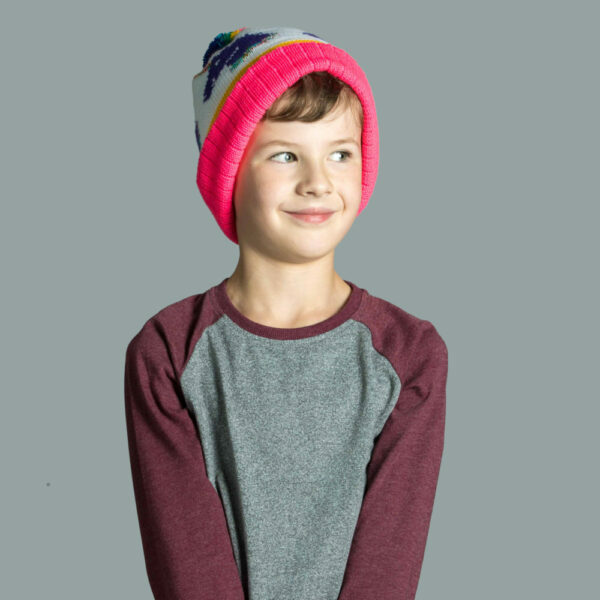 We’ve used the brightest neon pink that we can find to use as the base colour, which has a rib effect to increase stretch and add comfort. Topping off our unicorn hat is a multi-coloured bobble with 8 vibrant shades displayed in a stripe formation which is hand sewn to ensure it stays on! 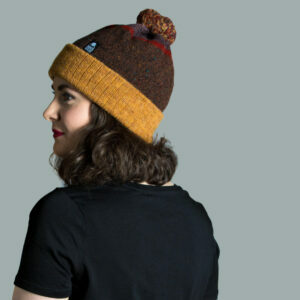 We’ve paired rich Bordeaux with black wool on the cuff to create a deep colour combination on this Hector hat. 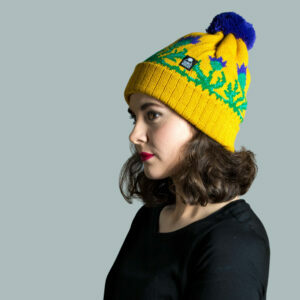 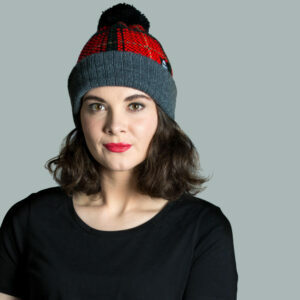 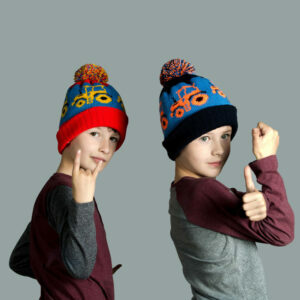 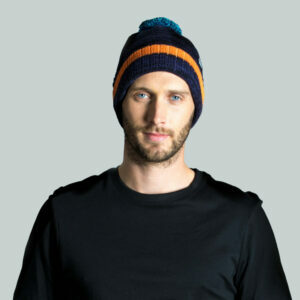 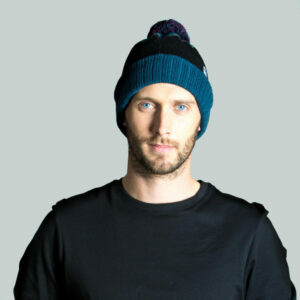 This style fits snuggly on your head and is made with soft lambswool for comfort. We’ve finished the hat with the chunky rib structure on the outside to make the most of this fantastic stitch formation. The matching scarf in this set is a blend of both colours and can be doubled up or wrapped around for a comfortable fit.